SFW082D Combination Fire/Water Safe is rated 4.5 out of 5 by 13. 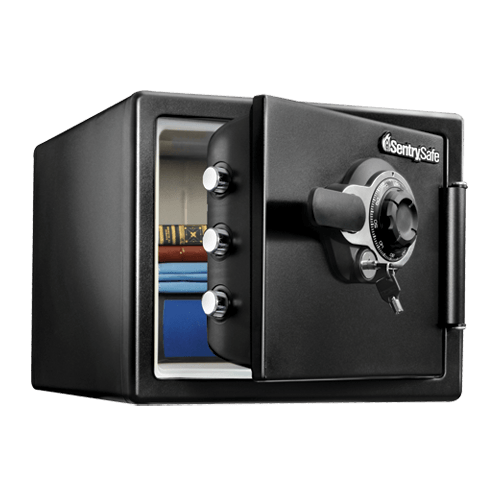 The SFW082D is a versatile safe for all your security needs. 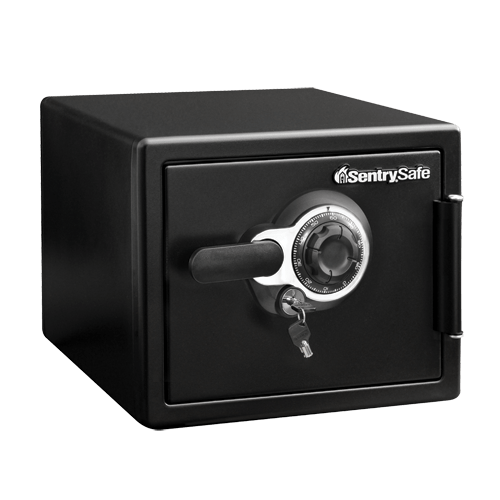 This safe is ETL Verified for water protection and UL Classified for fire protection. 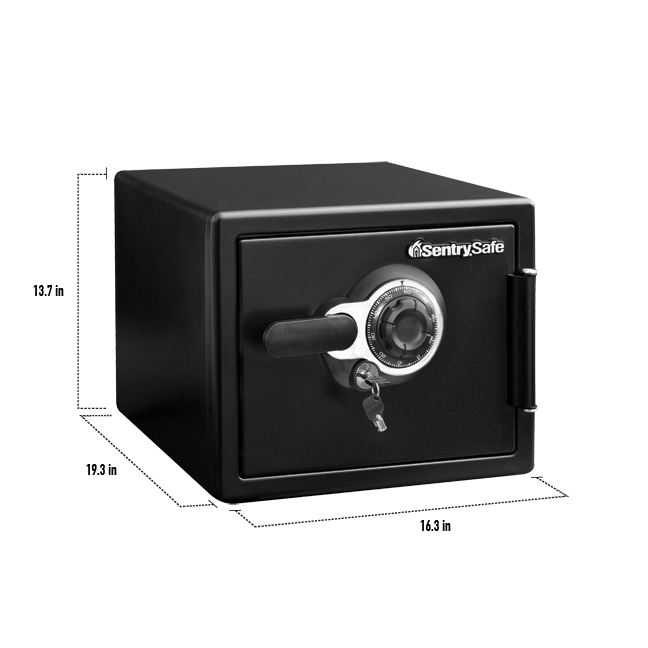 Equipped with 3 live-locking bolts and a pry resistant door this safe is the ideal storage unit for all your cherished valuables. Rated 5 out of 5 by Pat H from Safer than the Digital Edition I chose the combination model because I see on Youtube the Digital Model can be opened with a strong magnet that will releases the solenoid. I realized any safe can be open but it's how hard can you make it for the thief. Rated 3 out of 5 by Oakridger12345 from So far so good I’ve only had it for one day but it seems to be a good product. Very sturdy/heavy. Has combo and key lock. Will follow up at a later date. Rated 5 out of 5 by geoff from sfw082d review It is the right size for my office. Added bonus is it is fire and waterproof. Rated 4 out of 5 by Susana Valera from Too bad it loose water proofing when attached. I like the safe box. But I haven’t put anything inside until I figure out a way to attach it without compromising the water proofing. The instructions say that ones you attached it to the floor it won’t be completely water proof. Rated 4 out of 5 by Todd03 from Very nice safe I love this safe. The only disappointing thing is that it didn’t come with shelves/trays for inside to hold documents. For as much as we paid for the safe, I would have thought it would be “complete”. Rated 5 out of 5 by Nonno from Perfect Treasure chest! I bought this safe aka (Treasure chest) as I call it, for my grandson. It's the perfect size for mementos, cash, and keepsakes from his nonno (grandpa). 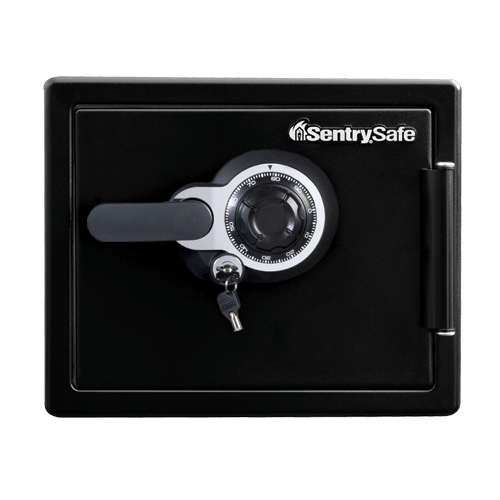 Rated 4 out of 5 by Larry H from Secure safe but The safe is secure and easy to operate. It had dents on the corners but wasn't worth returning. The packaging needs improved.